Long or Short what should I do ? Wouldn't it be great if someone could tell us tomorrow’s closing prices today ? Unfortunately no one can (legally) that is why we have Technical analysis and for technical analysis we have chart pattern, and without the chart pattern can not imagine about technical analysis. In this pattern recognition article we will show you some of the most widely followed chart patterns in technical analysis of stock, forex market and teach you the proper way to draw them and explain how I trade them. 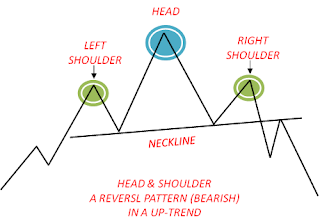 The head and shoulders pattern is known on Dalal Street as one of the trend-reversal pattern. Of all the patterns we just went over this is the most reliable for me. This is one pattern worth looking for. This is one of the more complex patterns to identify. What makes the H&S set up complex is that. The first (left) and third (right) peaks (high) are shoulders, and the second peak forms the head. The trend line for this pattern should be drawn from the beginning of the right shoulder through to the left shoulder. The confirmation for this pattern is complete when the stock breaks the neckline. For a short trigger. 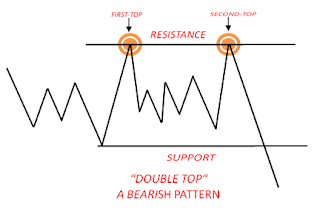 A double top occurs when the price of a stock has made one high and drops back to a key support level only again to be met with buyers that run the price up to the first high. I trade this set up the same way I trade double bottom but only in reverse (Short Sell). Again just like I mapped out on the double bottom set up. I execute the trade come to me only this time for a short position, i.e. 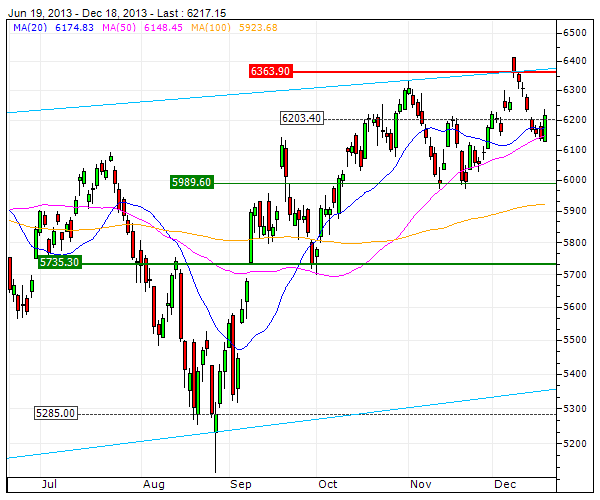 If the first top is at 80.00 I will set a sell (short) at 80.10 – 80.50 depending on the stock and the over all trend of the day. With a tight stop right above my entry. This is also one of the less risky set up’s reason being is if were wrong we know right away and can reverse the trade or take the stop. The top part of this pattern has a downward slant and the flat bottom part makes up a descending triangle set up and just like with the Ascending Triangle. 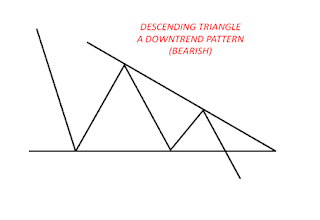 The descending (Sloping) triangle as I like to call it. All my best intraday shorts trade have been due to this set up. When you hear me yell “Sloping” It’s more than likely I am trading a descending triangle set up. An easy way to find descending set up’s is to look for stocks that are making lower highs. 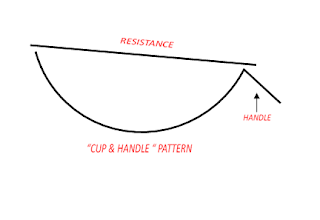 This is one of the important technical patterns on to the chart, As its name implies, there are two necessary parts to complete the formation: the cup and the handle. The cup forms after an advance and looks like a rounding bottom formation or bowl. 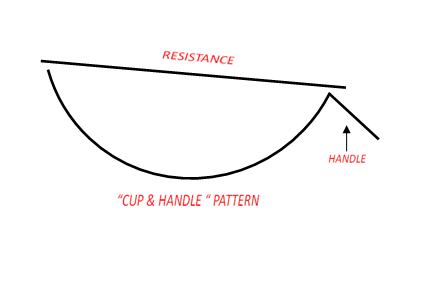 As the cup (rounding bottom formation) is completed, a trading range develops on the right hand side and the handle is formed on the chart. 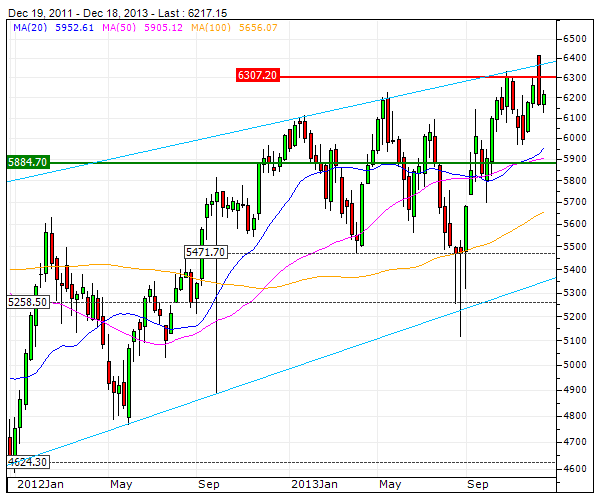 A subsequent breakout from the handles trading range signals a continuation of the prior advance. The way I have been trading this pattern recently in the bear market is to short the resistance level. Reason being the trend has been to sell all resistance lately. As the saying goes make the trend your friend ! 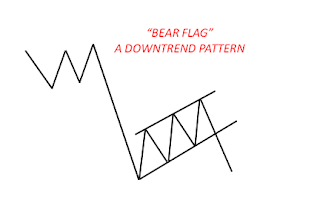 Higher tops and higher bottoms make up a Bear flag set up and just like with the bull flag you’ll want to make sure the trend lines are as close to parallel as can be, also Bear flags have a tendency to slope against the trend. Which make them look like a “V” bottom and a possible reversal at first. This is the main reason why conformation on this set up is critical. 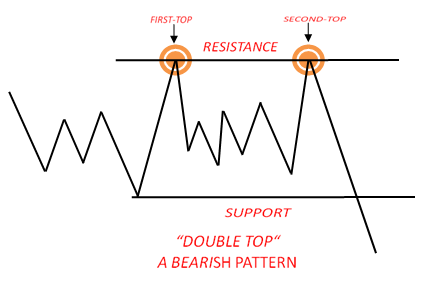 Remember conformation is the key to this pattern and must complete before a trade is put on. If there were one set up I would recommend studying more than others before acting on it this would be it. As with any one of these patterns we just went over they always work best when you are aware of Current market conditions and know the stocks & futures you are trading. That is Key in this Business. Charts pattern from number 6-10 will describe in our next article of tutorial series(Part-2) soon. 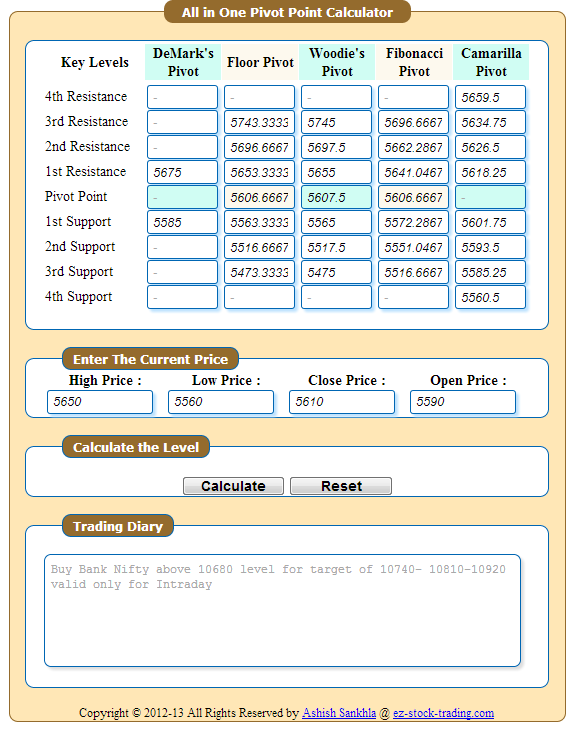 Now no need to open multiple web pages for calculation of various type of pivot points method to find support and resistance levels. Forget this headache and use the new way of calculation, This excellent 5 in 1 pivot widget enables you to calculate multiple pivot based important support and resistance levels on a single page. To Add this widget on your blog / website copy the code below and paste it. 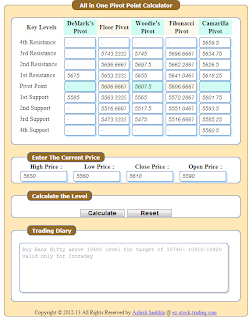 How to Use :- To use this widget and calculate all these important levels, you'll need last days open high low and close price. For intraday trading the open price is necessary to calculate demark's pivot method levels. you may left the open price, as result you won't get the demark's target range levels. Similarly, you can also calculate the weekly pivot point levels for your favorable stocks or index like nifty. If you need any help then feel free to drop your comments and suggestions below. You may also follow us on Facebook and Twitter for more updates.